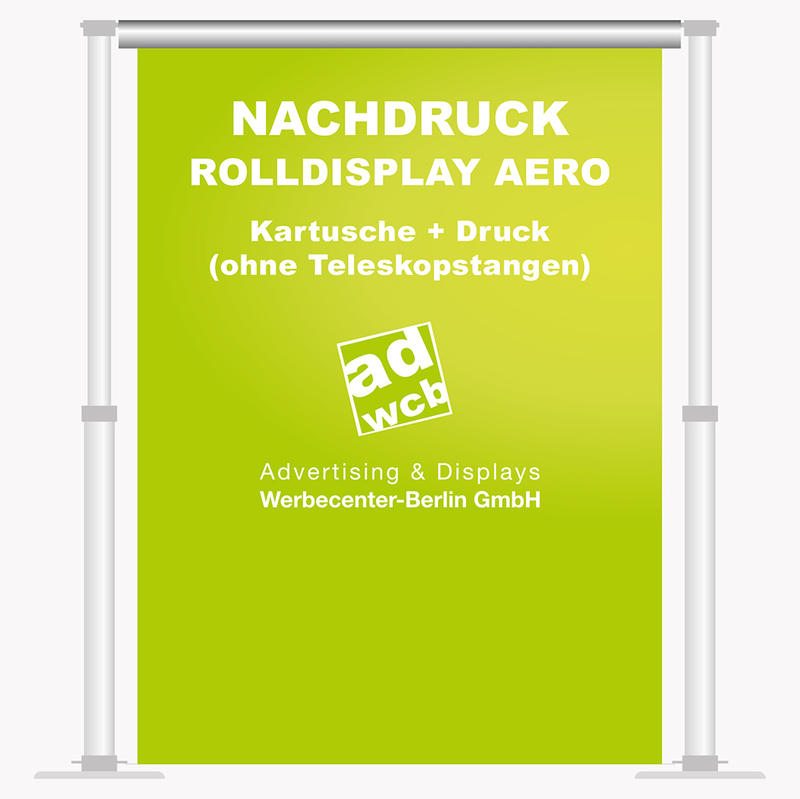 Categories Reprints Add-on / Accessories "AERO"
Reprint for your existing rolldisplay "Aero". 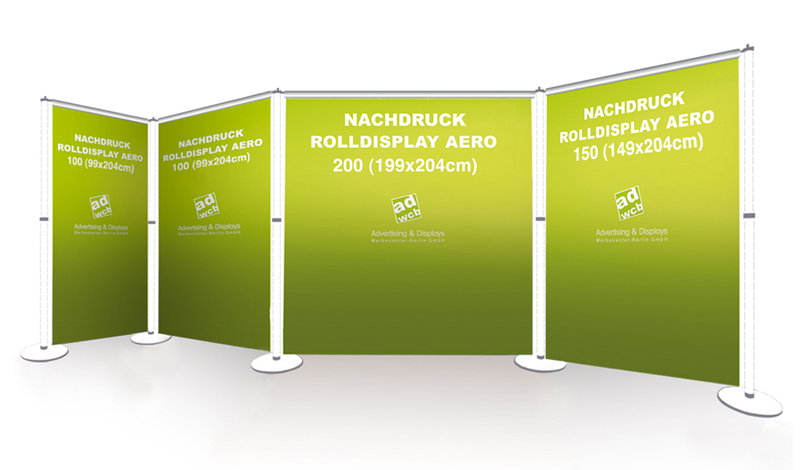 Your artwork will be printed on opaque PVC-material 500g/m². For transportation the printing is rolled in the aluminium case. The telescopic bars aren't included. It is possible to order them seperated. You will get the rolldown cartidge and the printing.